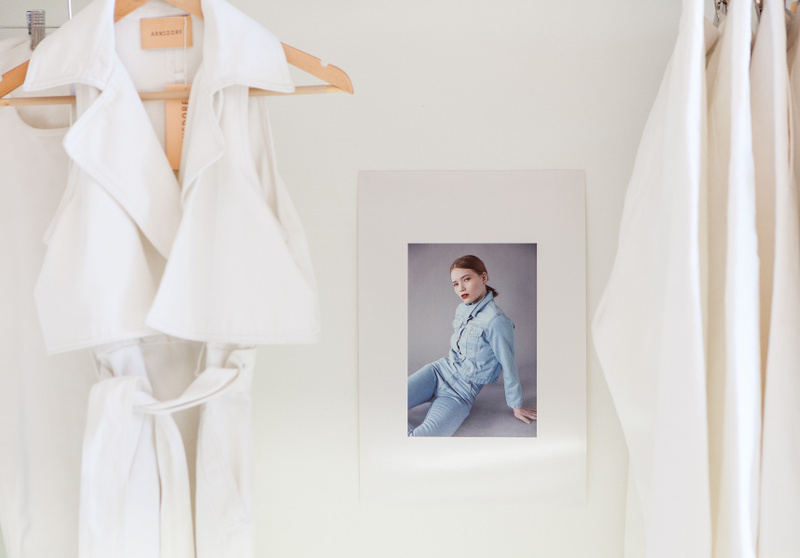 The Melbourne fashion label’s debut bricks-and-mortar store has opened in Fitzroy, with terrazzo floors, exposed brick and plenty of natural light. 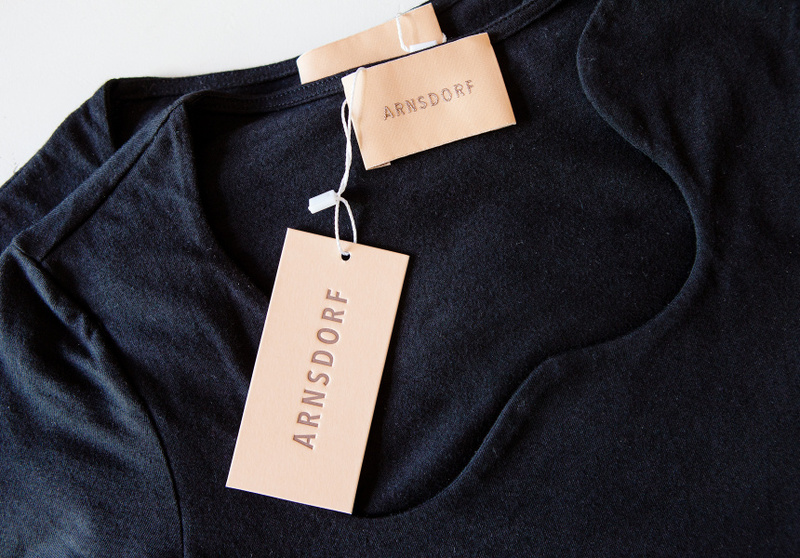 Almost one year after the re-launch of sustainability-focused womenswear label Arnsdorf, founder and designer Jade Sarita Arnott has opened her first physical boutique. The new Brunswick Street store fits squarely with the Arnsdorf aesthetic: simple and minimalist, yet carefully considered. Its purpose? Also simple: to give clients a traditional retail experience; a place they can browse the collection in person with a full range of sizes available. Before this Arnsdorf fans could only visit a Collingwood showroom by appointment, or buy online. The new store stocks seasonal styles and a selection of core pieces, but is also designed to respond to individual customer requests. “We want to be a modern retailer. We’ll still take measurements in-store and have really great customer service, but we want to collaborate with people to build a wardrobe that will suit their needs,” Arnott says. Those familiar with the label will be aware of its commitment to radical transparency, both in its pricing and sourcing. Online, each clothing listing is accompanied by detailed information on where the piece was made, where the materials came from, and the costs involved in its creation. 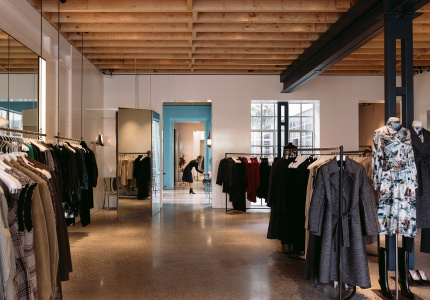 Arnott designed the space herself, repurposing many of the existing store structures and adding contemporary updates using recycled materials and furnishings. 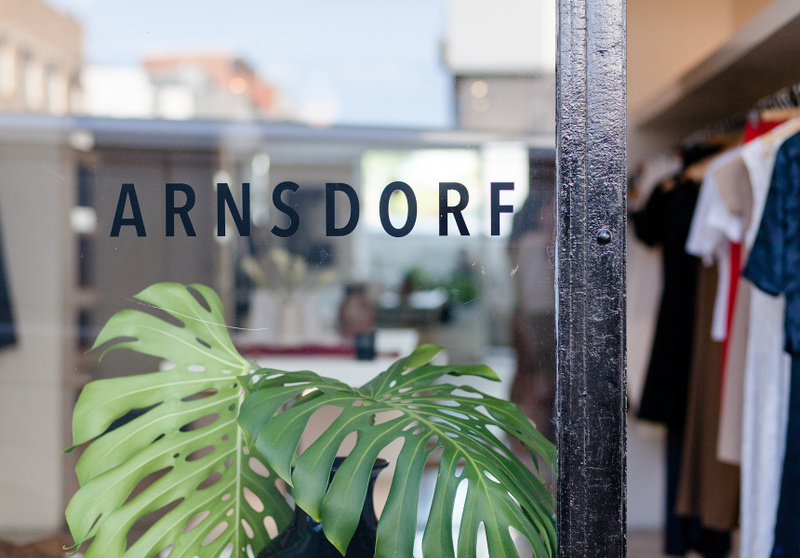 Like the Easey Street showroom (which will remain open to the public, by appointment) the new shop is intended to double as an events space, which Arnott hopes will offer customers an opportunity to engage with Arnsdorf in more than just a retail capacity.